We develop and host architectural workshops aimed at children and young people. Workshop concepts are developed in close cooperation with our clients: Cultural institutions, Municipalities, Schools, kindergartens and many more. We develop and host all kinds of workshops from large, public workshops with hundreds of participants to workshops aimed at a single school class and to workshops focused on the involvement of the participants in the design process of a building project. 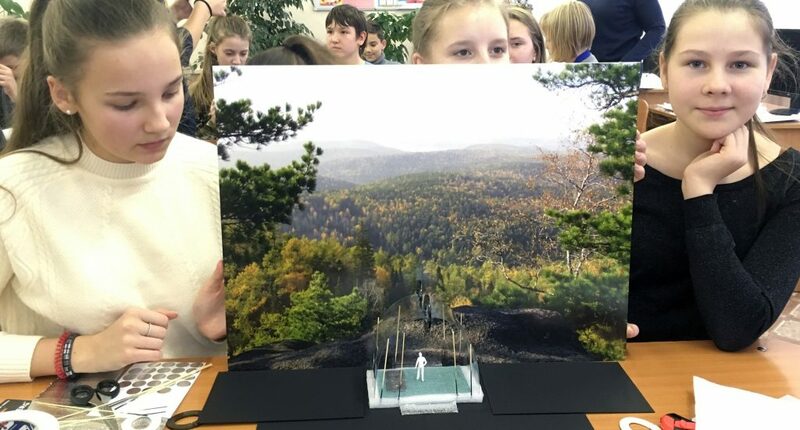 Students from School 147 in Siberia designing pavilions for the Arctic in collaboration with the Danish Embassy in Moscow and Frederiksberg Minicipality.